Childhood Fears Age by Age: What Scares Babies? Babies communicate a number of ways from facial expressions, to laughing, to crying, but the major inconvenience is that they are not yet able to talk. While it is recommended that you talk to your baby, the more words they hear the better, they can’t always reciprocate in the same way. When you get into a situation where your baby is trying to tell you something but they can’t actually tell you, it can be frustrating or even intimidating. It does not take long for a parent to learn that their baby has a different cry for every type of problem. The sound they make when tired is distinctly different from the sound they make when hungry. Eventually, you learn to anticipate their needs based on what kind of crying they’re doing. When a new cry emerges though it can be intimidating. Especially when you figure out that your baby is scared. What are they scared of? They can’t tell you. You have to be a detective to figure it out. 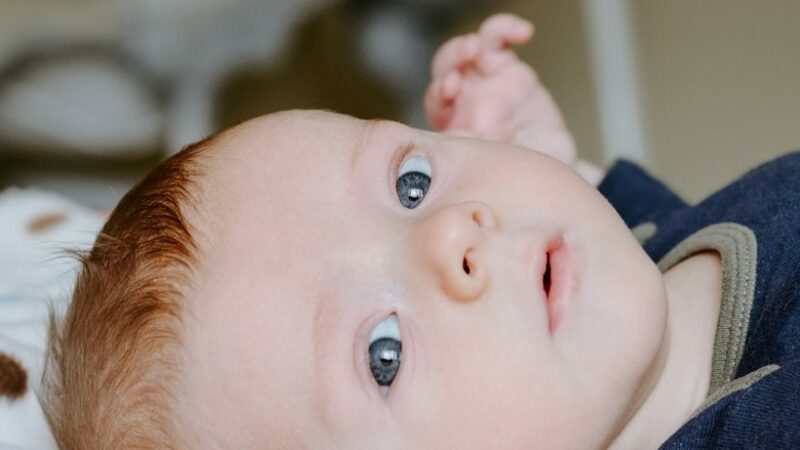 Along the way, scientists have studied and noted what babies are typically afraid of and why so read on and hopefully, it will help you decipher what your baby is trying to say to you. Babies little brains are just figuring things out for the first time. Object permanence won’t even set in until they are over a year old, for example. Object permanence is the ability to know that if something goes away that it is not gone forever. It’s part of what makes peek-a-boo so fun for babies. You’re gone, and you return again! Magic! Because their grasp on this concept is often still developing babies can exhibit sometimes extreme separation anxiety. A very real fear that if a parent goes away they may never see them again. Obviously, this is inconvenient. You can’t always be around your baby all the time, but you also don’t want them to be upset every time you’re gone either. Finding a balance can be difficult. The parental fear of traumatizing a baby is strong. Babies learn mostly through repetition of concepts. While you can’t expect them to understand or believe you when you say you’re coming back, you can eventually teach them to trust you by having set routines so they can begin to build up their own reasonable expectations of what will happen when you’re away. Having a caregiver that can reassure them and help them change focus onto something less scary and intimidating can help too. Distracting a baby with something fun until they grow enough to learn that you’re not gone forever is a great trick. However, it’s important that you don’t just sneak out, as this can exacerbate the feeling that you’ve disappeared. Always be sure to say “goodbye” in the same or similar way, and greet them again in the same or similar way to their brain can recognize the pattern of leaving and returning. Some surprises are fun for babies, but many are just not. The startle reaction is still strong for many months after birth and anything unexpected can trigger feelings of fear and anxiety. A loud noise, a sneeze, or a rapid change in environment may be enough to send your baby over the edge. Many toys that we grew up with are not appropriate for a baby at this stage. A jack in the box may be very fun for an older toddler that knows how it works and what to expect, but for a baby, it is just always going to be scary. They developmentally are not ready for this type of surprise. Anticipating these things can be difficult, as many of us are just as surprised by a sneeze as our baby is. Comforting after is the name of the game here. Cuddles and reassurance go a long way to quell feelings of shock. Distraction can help as well, but make sure you’re remaining gentle and respectful of your child’s boundaries. Swinging wildly from a shock to a good surprise can be just as jarring. From the beginning, your baby has known you as a trusted individual. You are a safe place for cuddles, a provider of nourishing food, and a lovely place to nap. Strangers, on the other hand, are many things, but the most important characteristic a stranger has as far as your baby is concerned is they are not you. That can be enough to cause a big problem for them. Stranger avoidance is huge for babies, and it’s not for any other reason than they like you best and anyone else is an unknown actor. This can be a difficult one to overcome and waiting it out is usually the given advice. Eventually, your baby will learn to like other people, but if you want to nudge it along remember that babies learn new things by experiencing them over and over. Time will tell if your baby can get used to a particular person, maybe they’ll grow to recognize and like them or maybe they’ll just mature to a point that they understand. Either way, being afraid of people who are not regular caregivers is very common and deeply embedded in your baby’s brain. With Halloween approaching it’s good to remember that babies most likely will not like your costume. Babies are still learning to interpret and respond to facial expressions so any kind of exaggerated makeup, masks, or even a wig can confuse your baby. Masks and people in mascot costumes specifically can be scary because they obscure your baby’s ability to assess your feelings through facial expressions. There’s really a no good way to overcome this except waiting it out. Being mindful that your baby will most likely not enjoy seeing you dressed as a clown is important though. Your baby trusts you to be a safe person, and if you break that trust there’s no telling how long it can take to get it back. Of course, with their object permanence skills still on the weak side, they might not even recognize you which can be good or bad depending on how strong their stranger avoidance is! Babies fears are wide-ranging and often confusing, but they all seem to boil down to not knowing what to expect, so keep up the routines and remember this too shall pass.